How Many Companies Will Be Touched By Court's Contraception Ruling? The Supreme Court says owners of closely held corporations may exercise their religious beliefs. That covers a majority of firms, but experts question how many would want to assert religious views. The Supreme Court said protecting the free-exercise rights of owners of corporations, such as Hobby Lobby Stores, protects religious liberty. When the Supreme Court ruled Monday that "closely held" corporations don't have to pay for workers' contraception, you may have assumed the decision applied only to family-owned businesses. Wrong. An estimated 9 out of 10 businesses are "closely held." However, some benefits experts question just how many of those companies would want to assert religious views. The IRS defines a closely held corporation as having more than half the value of its stock owned by five or fewer individuals. That's individuals — not just family members. Closely held companies tend to be small — many are far too tiny to offer any type of insurance. But some are huge and include some of the best-known names in American business, such as Mars Inc., with more than 70,000 workers, and Cargill Inc., with more than 140,000. It appears that under Monday's ruling, such huge enterprises may be able to refuse to offer contraception coverage if they assert a religious view. The majority of the justices said: "Protecting the free-exercise rights of closely held corporations thus protects the religious liberty of the humans who own and control them." Justice Ruth Bader Ginsburg dissented, noting that " 'closely held' is not synonymous with 'small.' "
In her written opinion, she suggests there may be many future legal battles involving these large, complex enterprises because the Supreme Court's majority fails to "offer any instruction on how to resolve the disputes that may crop up among corporate owners over religious values and accommodations." In other words, even if the number of owners is small, they could have big disagreements about religious issues. "How is the arbiter of a religion-based intra-corporate controversy to resolve the disagreement?" Ginsburg asked in her dissent. The 5-4 majority opinion said that protecting the free-exercise rights of owners of corporations such as Hobby Lobby Stores, Conestoga Wood Specialties and Mardel protects religious liberty. Such owners don't forfeit their religious rights just because they choose to organize their business as corporation, not a sole proprietorship or partnership. A study from New York University, done in 2002, showed that slightly more than half of private sector employees work for closely held companies rather than companies that publicly trade stock on open exchanges. Still, even though most companies are closely held, the number of companies refusing to offer contraception coverage may turn out to be quite small, according to Tim Goodman, an employee benefits expert and partner at the law firm Dorsey & Whitney. "There may be lots of these types of corporations, but not many that would assert" this religious view, Goodman said. "It takes effort and energy to bring these assertions, so it takes someone with very strong religious beliefs" to make the case, he said. 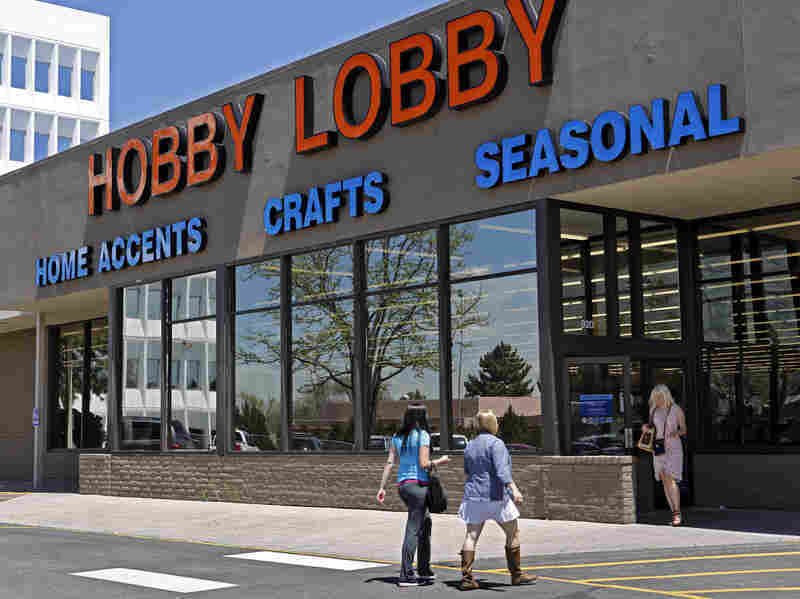 Goodman said that to follow in the path of Hobby Lobby, a company would have to expend a lot of time working with its insurer to shape a special policy. And then an employee could bring a court challenge, questioning the employers' religious sincerity. And there could be bad publicity, both with customers and potential employees, he said. For most company owners, "you are a lot more interested in making your business work than taking this on," he said. So most likely, changes to insurance coverage will be confined to smaller, family-owned businesses with very deeply held religious views, he said.